Areas: Attorney Dunn Matthews practices family law in Atlanta, Fulton, Gwinnett, DeKalb, Rockdale, Newton, Cobb, and Henry counties of North Georgia. 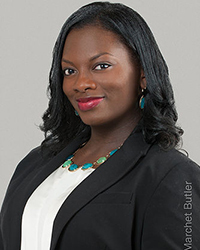 Licenses, Admissions & Associations: Dene’, earned her law degree from Atlanta’s John Marshall Law School. She is currently the co-chair of the Newer Lawyers Affinity Group section of the Georgia Association for Women Lawyers.